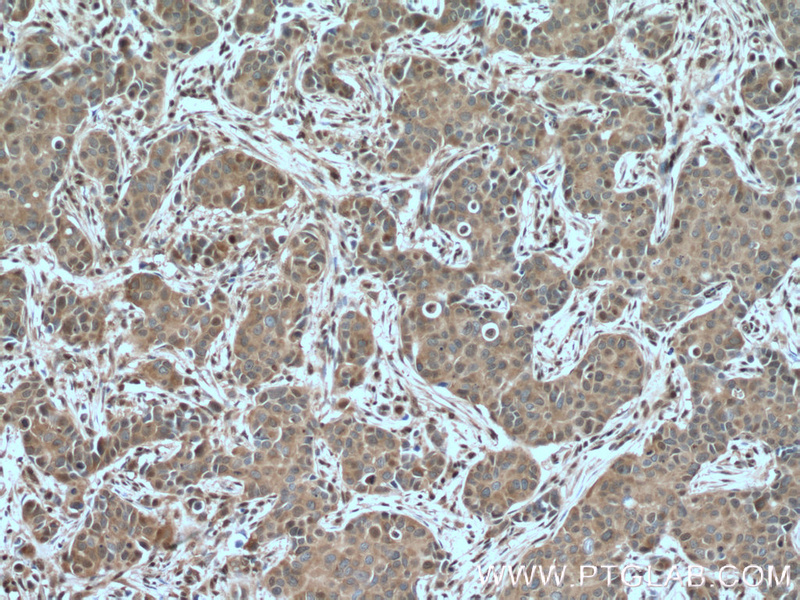 IP Result of anti-GAPDH (IP:10494-1-AP, 3ug; Detection:10494-1-AP 1:3000) with A549 cells lysate 3500ug. 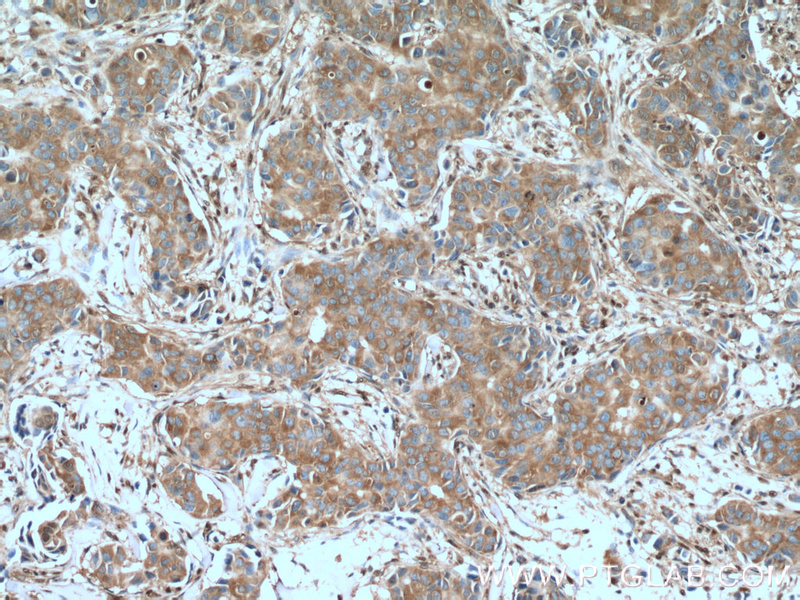 Immunohistochemistry of paraffin-embedded human breast cancer tissue slide using 10494-1-AP( GAPDH antibody) at dilution of 1:400 (under 10x lens) heat mediated antigen retrieved with Tris-EDTA buffer(pH9). 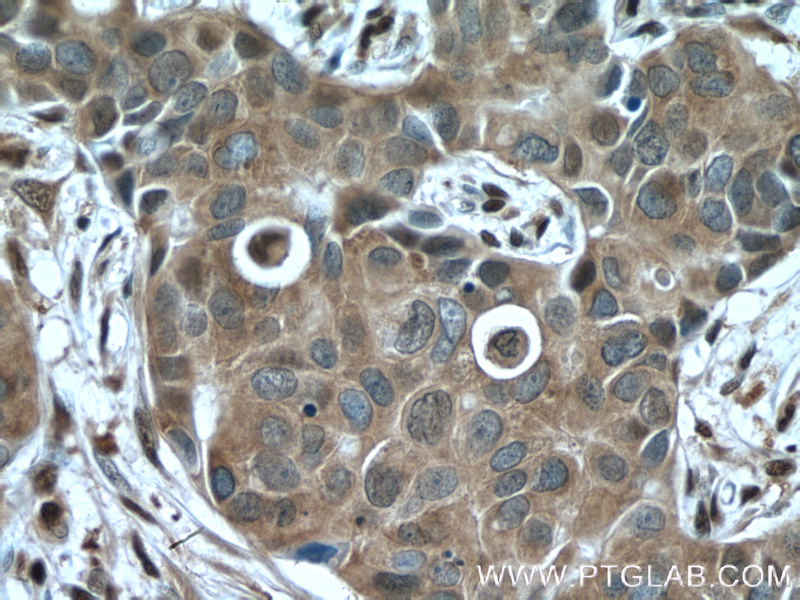 Immunohistochemistry of paraffin-embedded human breast cancer tissue slide using 10494-1-AP( GAPDH antibody) at dilution of 1:400 (under 40x lens) heat mediated antigen retrieved with Tris-EDTA buffer(pH9). 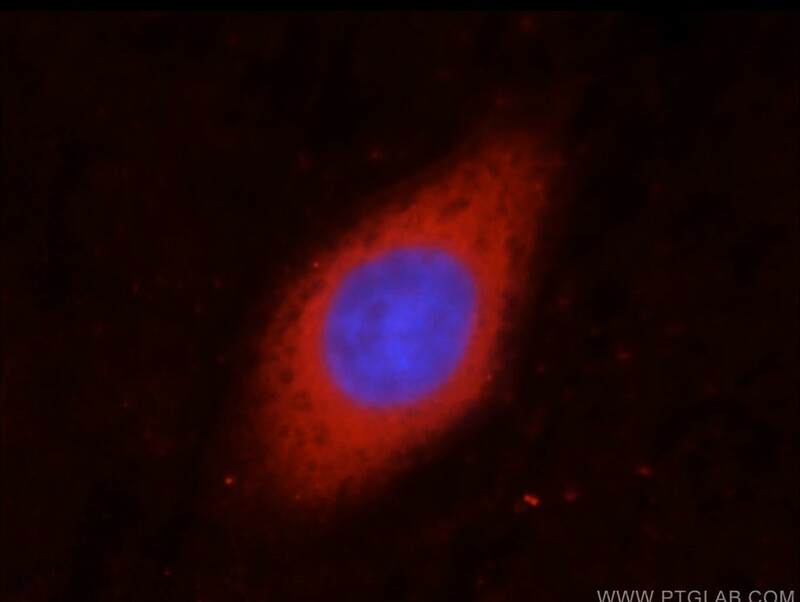 Immunofluorescent analysis of HepG2 cells, using GAPDH antibody 10494-1-AP at 1:50 dilution and Rhodamine-labeled goat anti-rabbit IgG (red). Blue pseudocolor = DAPI (fluorescent DNA dye). 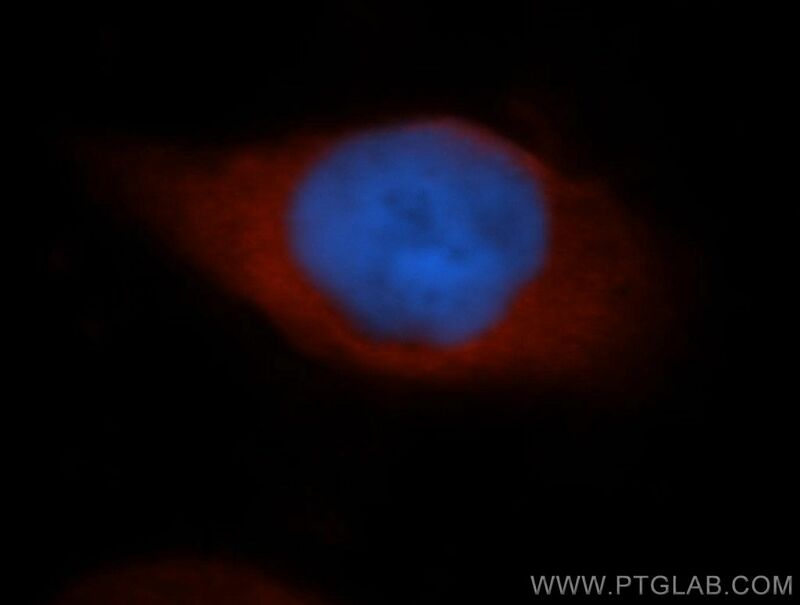 1X10^6 HEK-293 cells were stained with .2ug GAPDH antibody (10494-1-AP, red) and control antibody (blue). Fixed with 90% MeOH blocked with 3% BSA (30 min). 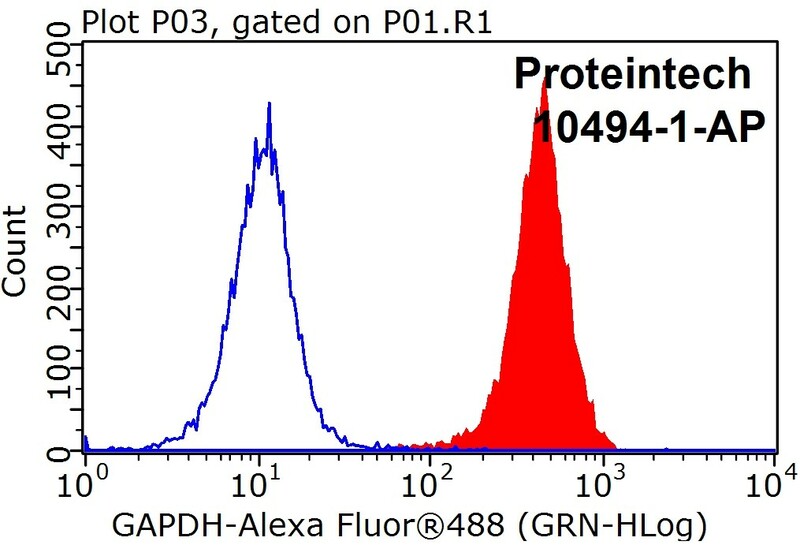 Alexa Fluor 488 -Goat anti-Rabbit IgG with dilution 1:100. Glyceraldehyde-3-phosphate dehydrogenase (GAPDH) catalyzes the phosphorylation of glyceraldehyde-3-phosphate during glycolysis. GAPDH participates in nuclear events including transcription, binding RNA, RNA transportation, DNA replication, DNA repair and apoptosis. 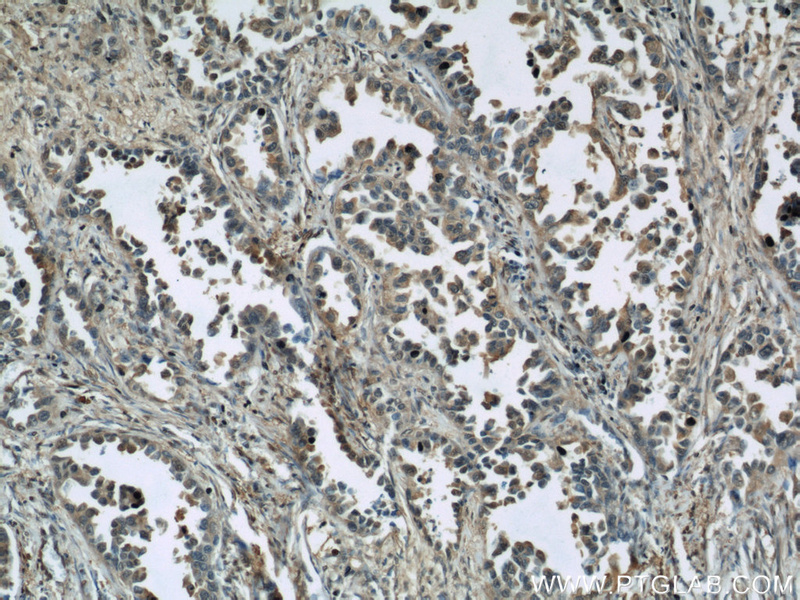 Being stably and constitutively expressed at high levels in most tissues and cells, GAPDH is considered a housekeeping protein. It is widely used as a control for RT-PCR and also loading control in electrophoresis and Western blotting. GAPDH is normally expressed in cellular cytoplasm or membrane, but can occasionally translocate to the nucleus after the addition of post-translational modifications such as S-nitrosylation. 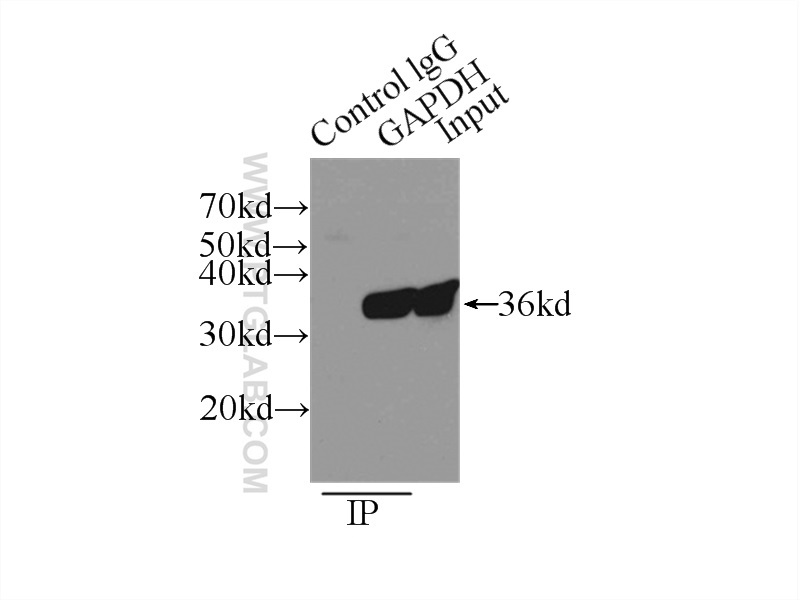 This antibody is raised against full length GAPDH of human origin. 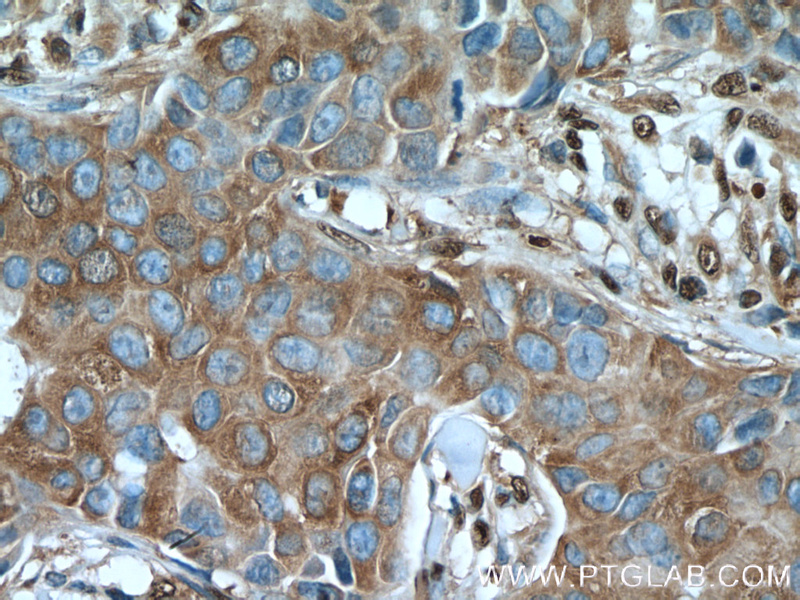 It can recognize the 36 kDa GAPDH protein in most cells/tissues. In addition, a band below 36 kDa can always be detected as the isoform or spliced product of GAPDH (PMID: 23885286, 23877755, 19368702). Please note that some physiological factors, such as hypoxia and diabetes, increase GAPDH expression in certain cell types. A cytotoxin isolated from Agkistrodon acutus snake venom induces apoptosis via Fas pathway in A549 cells. Construction of the Vero cell culture system that can produce infectious HCV particles. Radon-induced proteomic profile of lung tissue in rats. Suppression of survivin expression by short hairpin RNA induces apoptosis in human laryngeal carcinoma cells. Proteomic alteration in lung tissue of rats exposed to cigarette smoke. Dual role of Ski in pancreatic cancer cells: tumor-promoting versus metastasis-suppressive function. 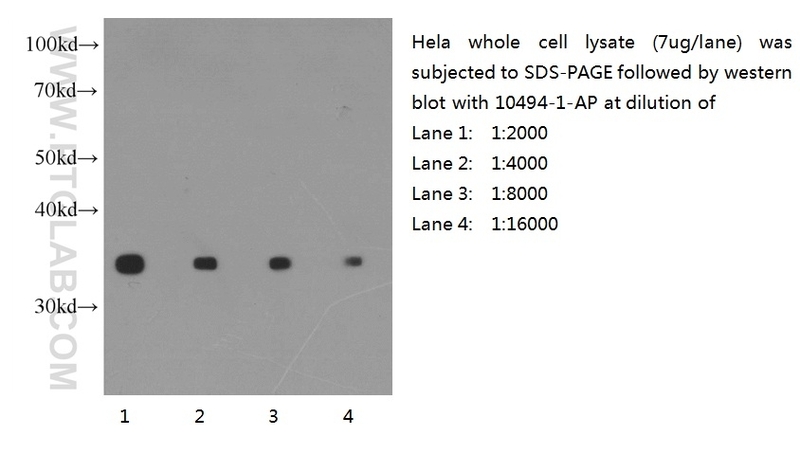 Western blot of Hela cell with anti-GAPDH (10494-1-AP) at various dilutions. 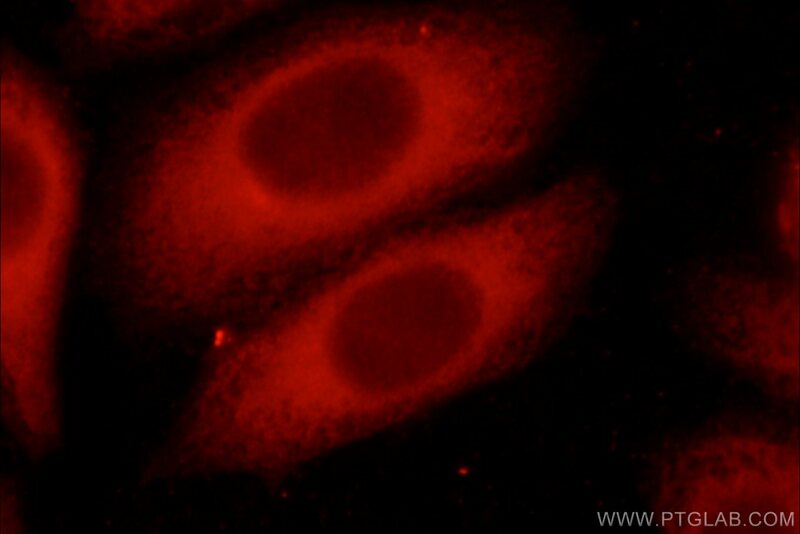 Immunofluorescent analysis of Hela cells, using GAPDH antibody 10494-1-AP at 1:50 dilution and Rhodamine-labeled goat anti-rabbit IgG (red). Blue pseudocolor = DAPI (fluorescent DNA dye). 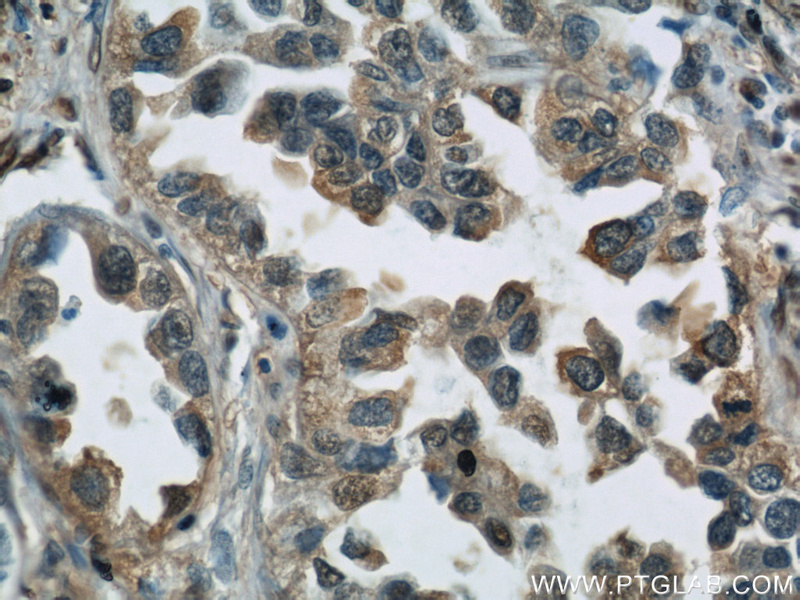 Immunofluorescent analysis of HepG2 cells, using GAPDH antibody 10494-1-AP at 1:50 dilution and Rhodamine-labeled goat anti-rabbit IgG (red).